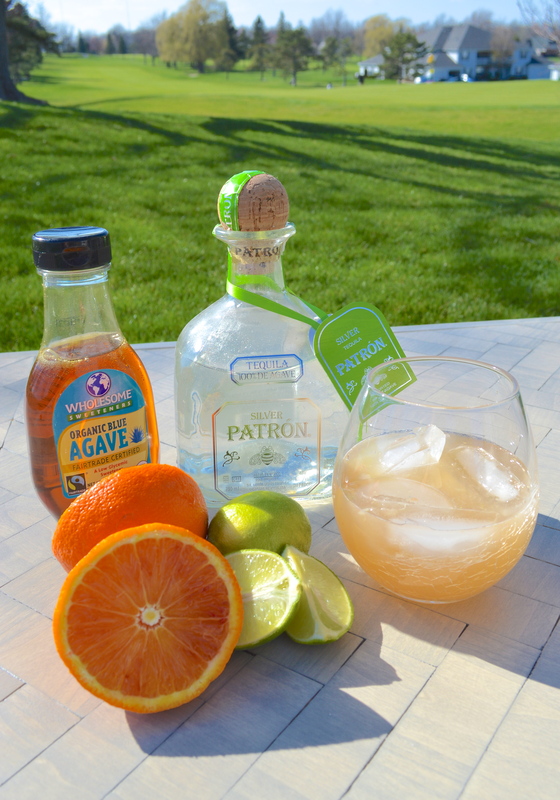 With Cinco de Mayo coming up this weekend, I thought it was a perfect time to share my secret weapon… skinny margaritas! I’m a tequila girl, I always have been and there really is nothing better that a margarita but they can be ridiculously bad in the calorie department. There are some lighter options, like the “Skinnygirl Margarita” cocktails but let’s be real, those pre-blended bottles NEVER have enough tequila in them and you always have to add your own anyways. My husband and I started making our own this way a couple of years ago and after LOTS of trial and error we have perfected them! Fresh lime juice gets shaken with the tequila, we use fresh squeezed juice from oranges in place of cointreau and agave syrup for a much lighter way of sweetening them up. Aside from being much more fresh, the cool part is you can add different juices based on your preferences to make different flavors.My favorite is blood orange juice but you do pineapple. grapefruit, or puree any fruit to make it truly special. 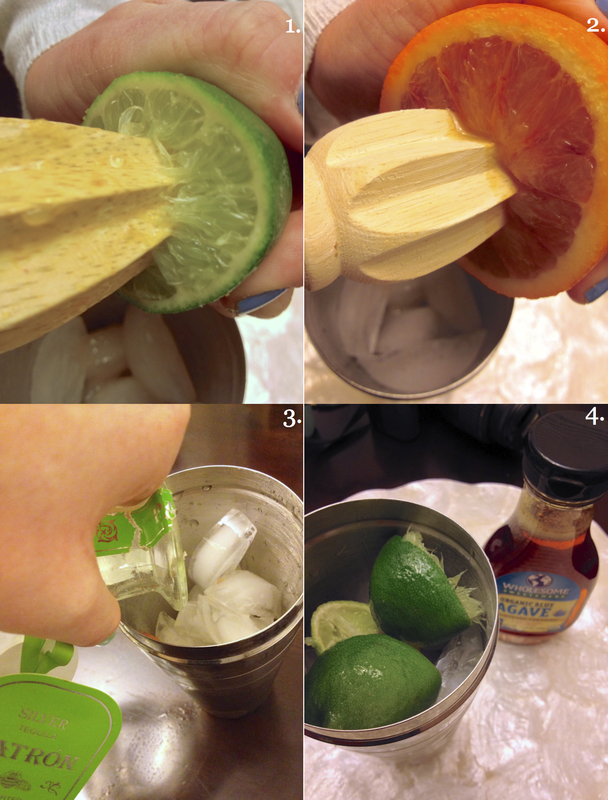 Fill a shaker with lots of ice and juice two limes into it using a citrus reamer to get the most out of it (1). I really LOVE lime flavor so I throw the limes into the shaker for even more flavor. Here’s where you can play around with different “flavors”… if you want a standard margarita then juice squeeze about a tbsp of juice from a fresh orange, if you want a “flavored” one then squeeze about 1/4 cup of the juice of your choice (in this case, blood orange) (2). Add in a shot of tequila (3)and about a tsp of organic light agave (4)and shake it up really well! Put some ice in your glass (and salt the rim if you like!) and pour the contents of the shaker into your glass! Spring and summer is all about being laid-back… it’s like using a recipe as a loose reference haha. That’s a really pretty photo. The colors and the background seem to jump at you in many ways! Refreshing! Thank you! I loved how the colors looks against the green background too, spring has definitely sprung!